NOBODY expected Powertechnic Handling Equipment (M) Sdn Bhd to become the star of the material handling engineering industry in Johor Baru in just 12 years. 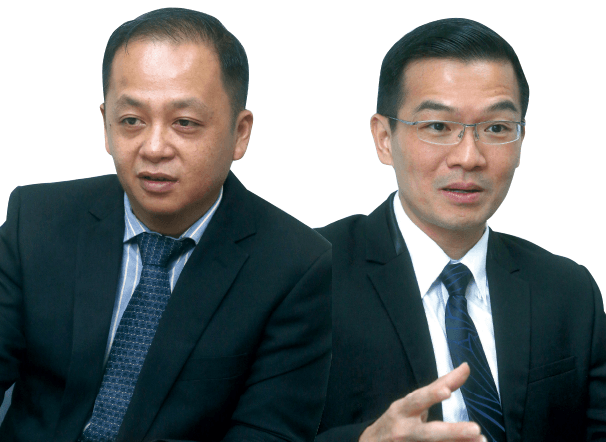 Not least because its founders — Ivan Na and Choo Chee Yong — were already in debt to the tune of RM28,000 before they even started the business. No one except the duo, that is. While Na took care of the sales, Choo worked tirelessly behind the scenes installing overhead cranes and providing customer service. The company’s round-the-clock service has helped it win the loyalty of many customers. Today, Powertechnic has secured a significant portion of the crane, hoist, table lifter and dock leveller business in Johor. According to Na, its managing director, the company has managed to win eight out of every 10 crane and hoist projects in Iskandar Malaysia. Before setting up Powertechnic, Na was a salesman at a lifting company in Singapore, where he worked for a year before getting transferred to the Johor Baru branch. This was where he had his first taste of what bad after-sales service could cost a company. After-sales service plays a crucial role in the material handling business as any breakdown in equipment could severely impede a company’s process and lead to huge losses. Na was a good salesman, but he felt helpless whenever a customer called for immediate service. The company’s service team was based in Singapore and sometimes it took up to 48 hours to respond. For Na, this seemed like years and he had to give excuses for the delays. Soon, customers started to shy away, grumbling about the company’s poor service. Na sat down to think about his future and decided that enough was enough. He needed to find a way out. Choo remembers the first time he met Na. It was 1999, he was 24 and Na was 26. Choo was working at his uncle’s dock leveller company in Klang at the time. Both of them had studied at Tunku Abdul Rahman College, but did not meet there. Na’s company had wanted to get into the dock leveller business. So, he went through the Yellow Pages and found the company owned by Choo’s uncle. He called to set up a meeting, and Choo was the one tasked with explaining the hydraulic system to him. They met outside the famous bah kut teh shop in Teluk Pulai, Klang, on a gloomy evening. It was getting late, so they didn’t have dinner as planned. Instead, Choo took out some documents on dock levellers and explained their mechanism to Na. Choo’s first impression of Na was that he was an honest man — he would get straight to the point and not beat around the bush. The two of them clicked and this unostentatious meeting set the stage for them to become good friends and eventually business partners. In 2000, Choo left his job in Klang to join the company Na worked for, at the latter’s invitation. Na had been suitably impressed by Choo’s technical proficiency and proposed that he come aboard as a technician in charge of installing cranes and hoists and providing customers with after-sales service. Unfortunately, by the following year, Choo was already in debt. He was earning only RM1,800 a month. After paying RM800 for his car instalment and RM300 for rent, he was left with RM700 to live on. But this, too, went towards paying suppliers on behalf of the company so that he could get the materials to start installing a crane. He ended up borrowing money to pay the suppliers. By the time he resigned from the company, he was RM10,000 in the red. Na owed even more — RM18,000. Their sense of honour and dedication, as well as their determination to do right by the company’s suppliers and customers, however, won them loyalty and admiration. Na and Choo realised that things could not go on this way. If they remained with the company, their debt would only continue to grow. There didn’t seem to be a way out. They would have to make one themselves. Luckily, they had the support of senior players in the industry, such as M W Tong, who was a distributor of the famous German crane manufacturer STAHL. He was also one of the suppliers Na had dealt with before. Na drove to Kuala Lumpur to meet Tong, who agreed to expand the marketing of his products to Johor Baru. He would supply Na with high quality electrical and mechanical parts without requiring a deposit. Na would pass Tong the money after selling the products and receive a commission after that. It was all based on trust. But by this time, Na and Choo had earned this trust. The industry knew them to be men of honour. Meanwhile, Choo undertook a journey of his own. He went to Klang to meet his uncle. When his uncle learnt that Choo wanted to start a business, he was eager to help. He allowed Choo to take whatever materials he needed and to pay for them when he was able to. The two of them shared a close bond. When he was only 14 years old, Choo would travel by bus from Muar to Klang to work at his uncle’s company and learn about the business. This was how he spent his school holidays. So, based on nothing but their reputations, Na and Choo started Powertechnic. They decided to remain in Johor Baru despite having had to disappoint some of their previous company’s suppliers and customers when they were working there. This act of courage, however, won them respect. Suppliers generously provided them with the materials they needed to install cranes, while their customers did their best to pay them on time. To everyone’s surprise, Powertechnic earned RM50,000 in its first year of operations. This figure has grown since. Powertechnic was registered in 2002. The company’s first office was on Jalan Pinang in Taman Daya, Johor Baru. Na and Choo rented a small and simple room, which had a thin carpet, a covered window, a printer and two tables given to them by Choo’s aunt. “Even our name card and company invoice were designed and printed by me,” Choo says. It was in this small space that the duo mapped out the future of their company. They decided to provide a 24-hour repair service and that they would respond as quickly as possible to any complaint or crisis. There would be no more 48-hour delays or customers staved off by excuses. It was very hard work and sometimes they barely got enough sleep. Naturally, this won the admiration of their customers. Word spread and this brought in even more business. They had two service teams — Choo himself was a one-man team, while three new recruits made up the second team. Choo set very high standards. He knew that quick and efficient service was crucial. Customers were not interested in excuses or explanations. They just wanted the job done so that they could continue with their business. Powertechnic maintains the same work ethic to this day. Choo is its director of operations, overseeing 20 service teams. The business has now expanded to KL, Penang, Sabah, Sarawak, Singapore and Indonesia. Not everyone is happy about Powertechnic’s success, though. Some competitors have accused it of “spoiling” its customers by offering round-the-clock service. But Na couldn’t be prouder of this. “We lost some projects because of price, but some of them came back to us after a while. When I asked them why, their answer was always because of our service,” he says. 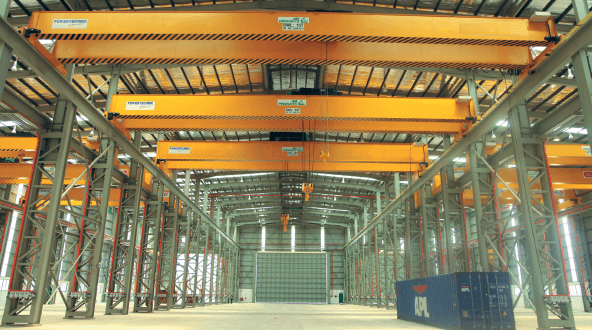 With such high service standards, it was only a matter of time before Powertechnic dominated the crane, hoist, table lifter and dock lever market in Johor Baru. But far from being complacent, it is working even harder with the slew of major projects in Iskandar Malaysia. “There are five flagship zones in Iskandar and we are planning to set up a service centre in each of them to station our people and goods. We want Powertechnic to be in close proximity to all our customers,” Na says. In short, they are planning to “spoil” their customers further. Powertechnic made RM20 million in revenue last year. Na says the profit margin was “high”, but declines to disclose further details. One clue to its profitability, though, is the fact that it won the Excellent Service Award at the 2014 SME Recognition Award organised by SME Association Malaysia. “I can tell you that we are very profitable and that’s why we won the prize. One of the judges audited our accounts and was impressed. For the size of our company to have that kind of profit margin, he was sure our management had to be really good,” he concludes happily. This article first appeared in Unlisted & Unlimited, The Edge Malaysia Weekly, on January 19 - 25 , 2015.